2nd Round Pick Commits to Colts. #OHL - Very Barrie Colts | A website covering the Barrie Colts of the OHL. It was announced yesterday that the Barrie Colts 2nd round pick (104th overall) Tom Hedberg has committed to the team. The 17 year old blue liner has signed a standard OHL deal with the team. The 5'11, 161 lb blue liner is set to join the Colts this training camp for the 2016-17 season. 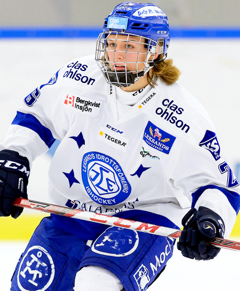 The Stockholm native was highly regarded headed into the past CHL Import Draft making the top prospect list in the 2016-17 NHL Central Scouting Futures List this past July. Here is a look at Hedbergs numbers the past few years.